A flat tied sheaf is much like a bouquet, hand-tied in a different style to enable the flowers to lie flat. We've used scented roses, herbs and foliage in our arrangements. 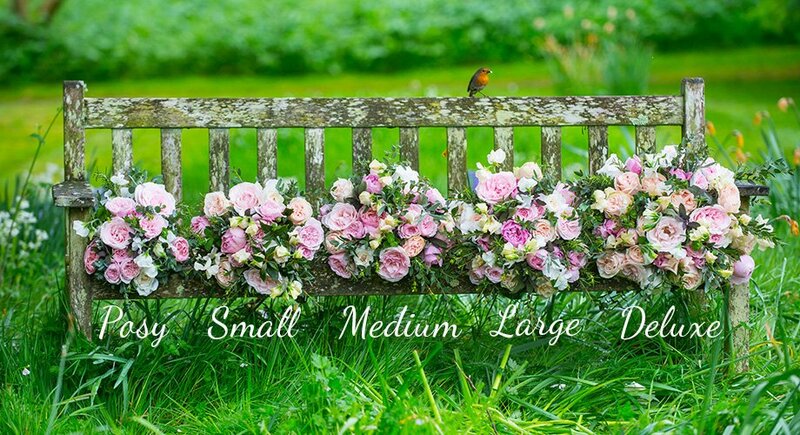 If you would like a specific colour arrangement, or rose variety then please call us on 01730 818 300. Available in Small (9 Roses), Medium (12 Roses), Large (15 Roses) & Deluxe (18 Roses). If you would like a bespoke Sheaf made with a specific colour, rose variety or size then please call us on 01730 818 300.